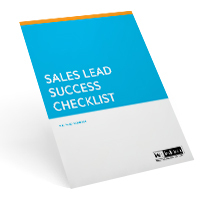 Generate more B2B leads and sales with these articles, checklists, worksheets, and resources. In just one hour, Mac McIntosh's on-demand seminar will provide you with actionable next steps to generate the sales leads to drive your company's growth and profits. Others paid $127 to attend, but it's free for you as a visitor to the website. Useful links and resources: associations, conferences, sales and marketing magazines. Tips and tactics for business-to-business marketing and sales professionals.